After networking with mums across Surrey, Louise Humphryes realised there was nowhere affordable for them to advertise their services and products. So she created a Facebook page and online directory to help them – and Supermum Surrey was born! Six years ago I was involved in running an admin office for a busy construction company before getting involved with community work. For the past five years I worked as a contract supervisor for the past five years at Apetito (meals on wheels). I was responsible for hundreds of meals being delivered to the elderly in and around the Croydon area. The job provided huge satisfaction knowing the work I carried out had a huge impact on the people we cared for. After becoming a mum I returned to Apetito part time and explored options to work from home. I wanted to strike a balance between spending quality time with my child, but still providing a service for the community. What gave you the idea to start Supermum Surrey? Facebook has a lot of pages for people who want to sell things locally. After browsing these sites it became apparent that it could be used to promote mum’s small businesses. The more I networked with mums across Surrey, the more it became clear there weren’t too many affordable places for them to advertise and promote their skills or services. What’s the aim of your site? The sole purpose is to provide exposure for mums’ small ventures and generate more business that reflects all the hard work that they do. There are plenty of options for larger businesses, such as Checkatrade, but a lack of options for the smaller ‘work from home’ mum. It also offers the chance for small business owners, for example home bakers and dog walkers, to have a webpage for £4.99 per month. How did you get it started? In November 2013 I created a Supermum Surrey Facebook page and invited my friends and family to join. I then began networking with mums across surrey and invited them to share their small business on our page. Before long we had a few thousand members and a real community had grown. It then occurred to me that we could build upon the Facebook page idea and develop a website where our Supermums could create a full business profile all linked to their social media sites as well as a customer rating mechanism for each member. This would allow any potential buyers to easily find trusted, reliable services in Surrey. What’s been the biggest challenge you’ve faced in setting up Supermum Surrey, and how did you overcome it? The biggest challenge is having enough time to manage the business. As any parent knows, there is a fine art to time management when you have a young child. I try to spend as much time with my daughter as possible and do the majority of the Supermum work in the evenings. The proudest moments are all the emails I receive from people thanking me for providing this platform for them to advertise. It has generated lots of business for all different types of people. Launching the website was also a very proud moment. I am not particularly technically-minded, as my partner Oliver will gladly point out! But I am surprised by how much I have learnt along the way in relation to online marketing and managing the business as a whole. I am a firm believer in a ‘learn-by-doing’ mentality. How do you fit your work around your family? I try to do the majority of my work in the evenings so it has the least impact on our family life. Once we are more established as a site I want to extend it to Supermum Kent and Supermum Sussex. I am also working on a new set of exciting features for the website and exploring the franchisee model for rolling out the business nationwide. Each and every one of our Supermums inspire me to grow our community and build more exciting features for them. What advice do you have for other mums who want to start a business? Build up your online presence – social media is one of the most powerful marketing tools we have as a small business owner. 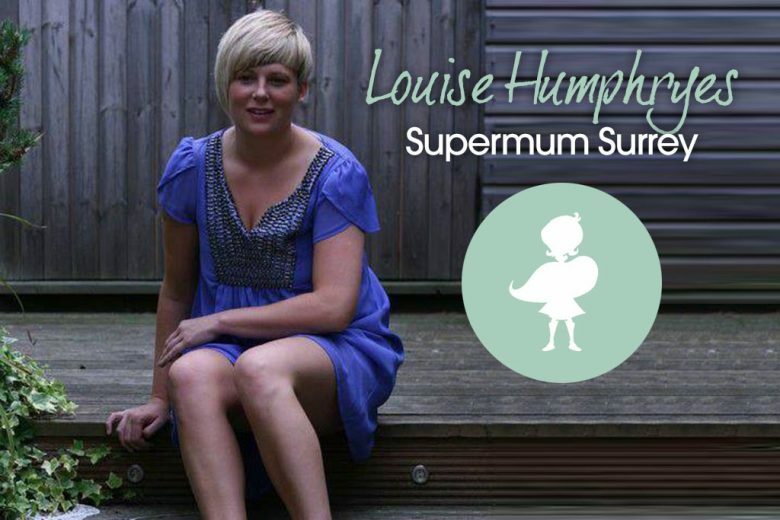 You can learn more about Supermum Surrey – and even become a Supermum yourself! – on their website and Facebook page.